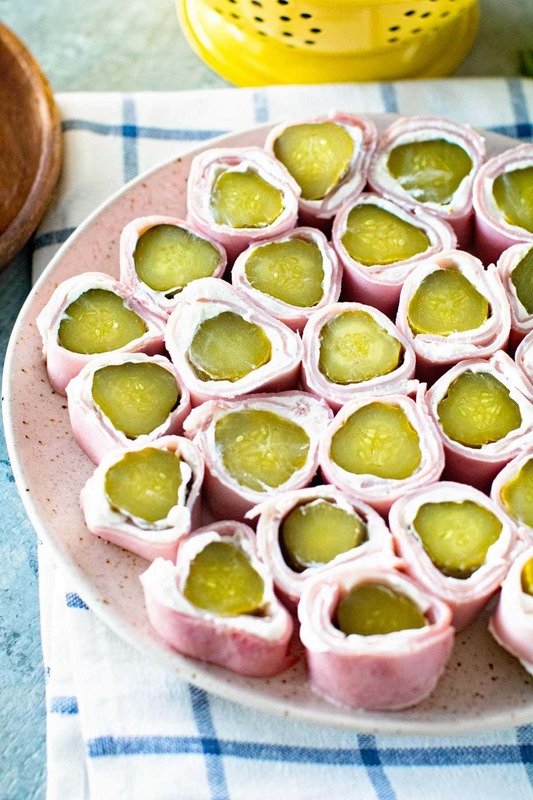 These Ham and Pickle Roll Ups are the best appetizer ever. They only take three ingredients and a few minutes of your time. They are always a hit at every party and the perfect small bite appetizer. 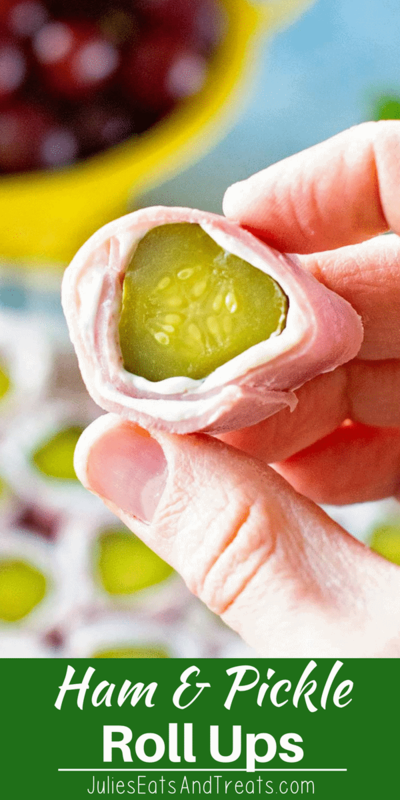 Grab your cream cheese, ham and pickles and whip these up today! 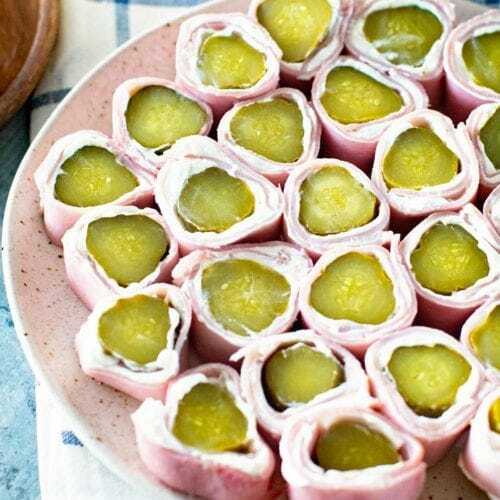 These ham, cream cheese, and pickle roll ups are a staple at all our parties! They sound a bit odd don’t they? Well, it goes like this, “Don’t knock it until you try it!” They are delicious and so very easy. I’m pretty sure my husband and kids could whip them up. They only have three ingredients, as you can guess by the name, and take about 15 minutes to make. 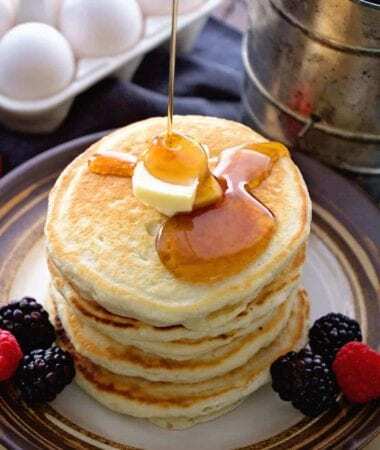 They can be made ahead of time so you can be ready for your parties! Are you a fan of sweet and salty? I know I am and I’m pretty sure that’s exactly why these are my favorite appetizer ever. Apparently you can make these into a dip too if you are really not feeling the whole wrap and cut process. But you still have to chop things so I’m not sure it will be much faster! 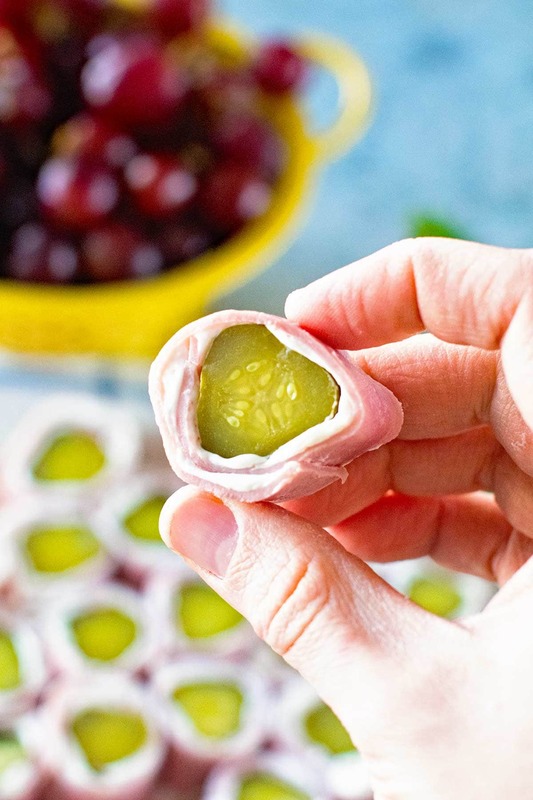 A few of my other favorite bite size appetizers that are super simple are Kicking Bacon Wrapped Chicken Bites, Pressure cooker Grape Jelly Meatballs, BBQ Bacon Wrapped Chicken Bites and Cheesy Turkey Bacon Ranch Pinwheels. I’m guessing this combo is Midwestern by I’m not positive about that. If you are not from the midwest my question is, have you heard of the delectable combo that makes up these Pickle Roll Ups before? As I’ve said they are a staple around here and one of my favorite combos, but I’ve learned that it’s not always normal to have combos like this. For instance about a month ago I took a trip to Austin, Texas for a blog conference. It was marvelous there because first of all it was WARM. It’s the middle of April here in Minnesota and we just had a snow storm yesterday. As you can imagine, I’m all about warmth right now! Anyways back to my trip to Austin. After arrival I headed out to get some cocktails with my friends. I’m kind of a beer girl, sounds redneck but whatevs. Yes, my friend olives. There’s something about that salty flavor with the beer. It’s awesome. I kept ordering this over the weekend and the looks from the bartenders were the same each time. 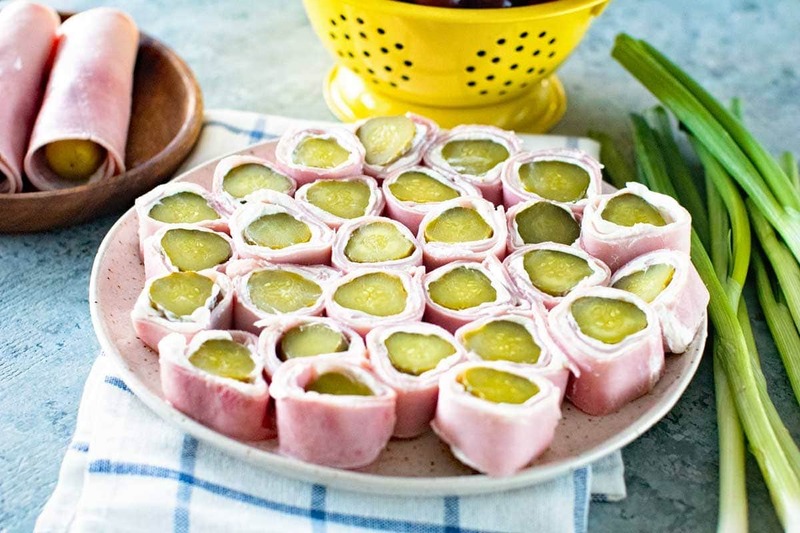 If you are looking at this recipe for Pickle Roll Ups like that, don’t, not until you try it! You know what else is super awesome? Fried Pickles! Mmmmmm, those are a must have in my book too! 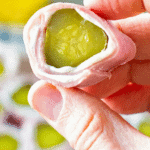 How to Make Ham, Cream Cheese and Pickle Roll Ups! First of all it’s so EASY! Grab a slice of ham, slather some cream cheese on there and then lay your pickle in the middle of the ham slice. Roll it up and then slice it up evenly. Store them in a airtight container in the refrigerator. My favorite part is eating the ends that aren’t pretty enough to put on your serving platter! A few twists on pickle roll ups is using corned beef instead of ham slices or you can use whipped cream cheese instead of cream cheese blocks. It just spreads a little bit easier! If you are looking for an easy appetizer for a party these are just what you are looking for. Not only are they delicious in the summer during the hot months but they are just as good at all your holiday parties during the winter too. Plus, they travel great and you can make them the day before hand. I’m always looking for more recipes like that! A FEW MORE EASY APPETIZERS! What do you consider a serving? What does it equal to in carbs? I need easy, low carb snack/lunches. It’s figured you cutting them into 32 pieces. One piece is a serving. I used dill but it’s really a preference things! Now, isn’t that the truth!